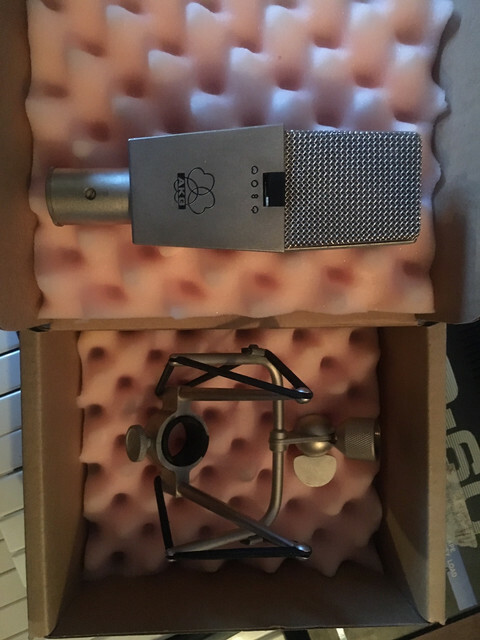 AKG c414EB. The old silver version with classic brass CK12, diaphragms reskinned and checked by Tim Campbell in 2012. Works great and sounds beautiful but the low cut switch is iffy and should be replaced (fine when not engaged, sometimes cuts out when engaged). Bummed to sell this but I had a pair and the other one was stolen a while back and I was mostly using them for stereo stuff. Comes with a Blue shock mount. 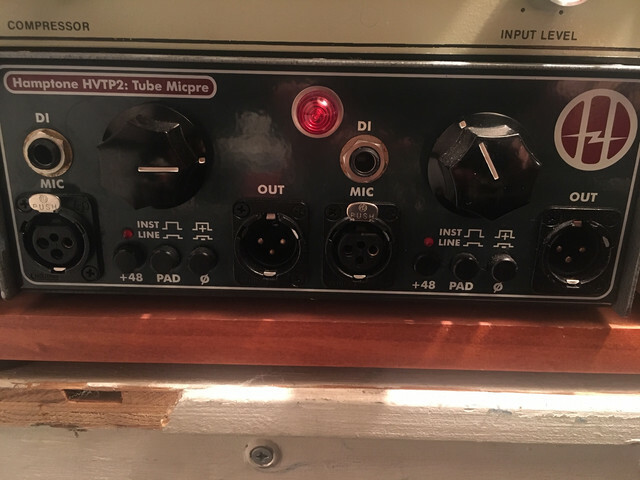 Hamptone tube preamp/di. 2ch. Sounds good on pretty much everything, and the DIs are great. I just have way too many preamps to be mostly working on mixes and overdubs at my place so I don't use it that much. I will try to dig it up but I might not have the bolt-on carrying handle from the top since I had it in a rack. Valley People Dynamite. Old lunchbox version where they're stacked vertically. Fully recapped with panasonic fm/fc, fantastic sounding example of these. ARP Solina String Ensemble. 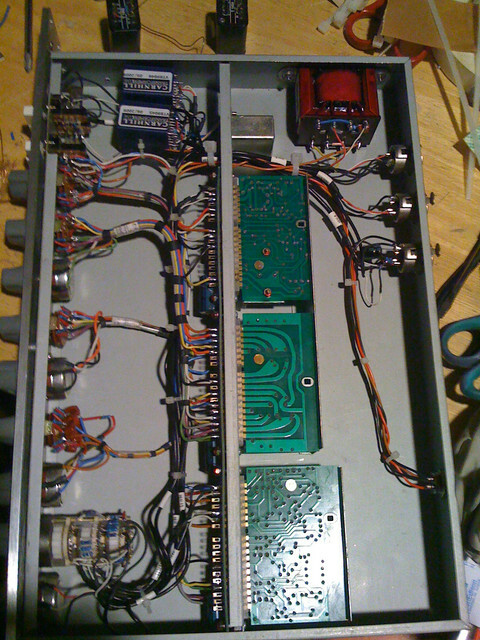 Also fully recapped (actually a pretty big job to do on this), with less than 30hrs on new caps. Sounds great. Minor cosmetic scuffing, mostly on the left side wood panel. There is one key that has the front cracked off in the pics I'll post BUT I have an original replacement key I'll install before selling. This is big and will be really annoying to ship and pack so I'd love to have someone pick it up in NYC (Greenpoint...I can deliver in the city also). I guess $1500. People seem to be going crazy with prices on these nowadays 2k and up but that doesn't seem fair. Chameleon Labs 7602 pair. Both modded with newer issue Carnhill transformers (VTB9045/9046 for mic AND line, and other carnhill on output, forget the model. So three new transformers on each). Sounds so much better than stock. 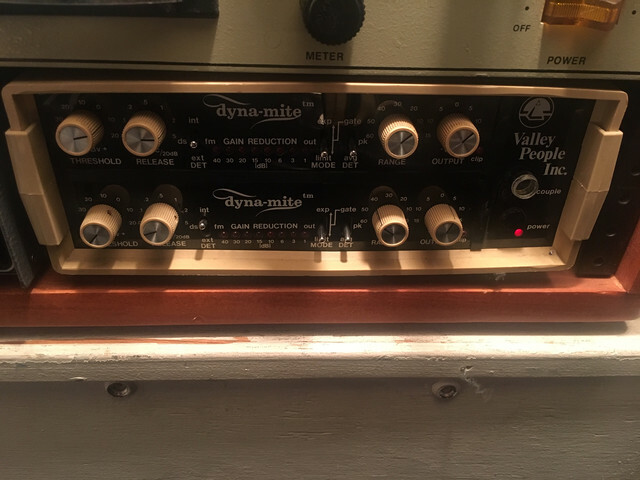 I used to use these for the EQ all the time especially on guitars but just don't get much use anymore. Also trying to help my friend sell his Lomo 19a9, also fully recapped (PSU and MIC). These are awesome. He won't sell cheap but make a reasonable offer. Let me know if you're looking for one of these and I'll put you in touch. 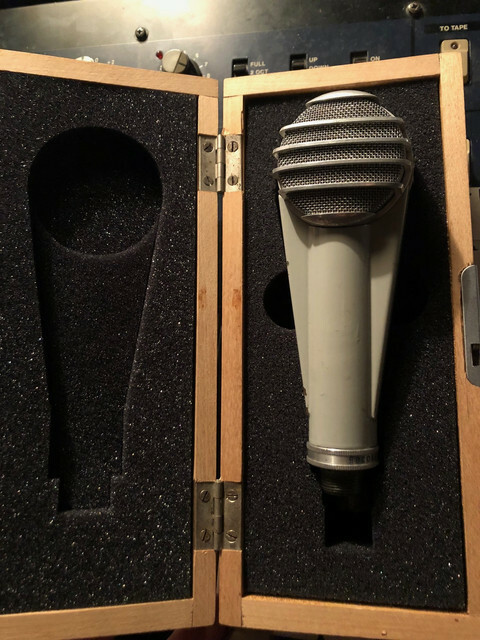 I've use this particular one on tons of vocal sessions and it's a great mic. Only selling because he bought a matched pair and three is really overkill. I'll post pics of the stuff without them Weds when I get a chance to get in to take some. 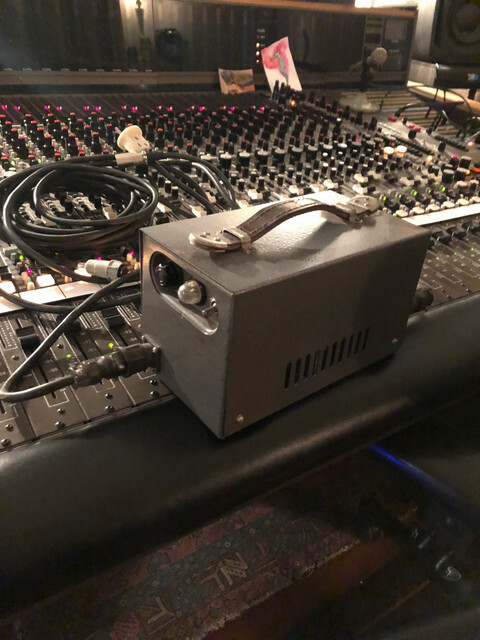 I don't really want to ship the ARP but will ship whatever else, or feel free to test and pick up in NYC also. added pics. 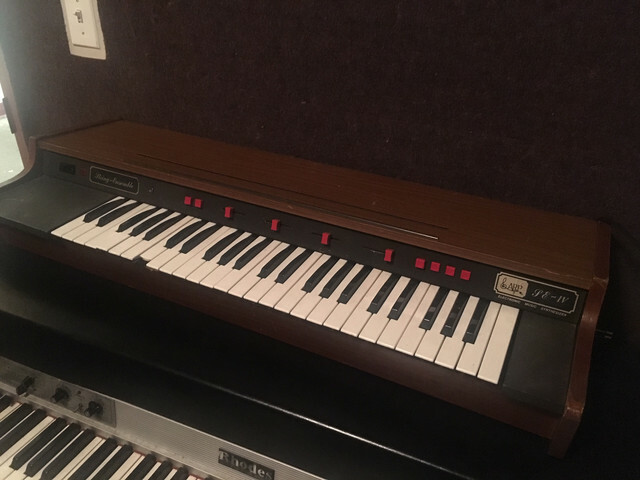 I have detail pics of the ARP and can get more if needed. Let me know and I can send them. Bumping this. Everything still for sale. Tentative buyer on the 414eb.